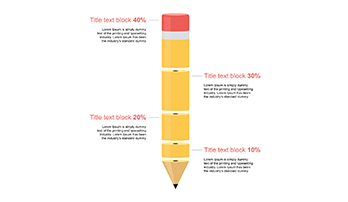 4 Levels Pencil Concept for ppt - Download Free Now! 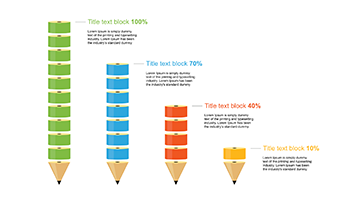 What is the slide with pencil concept for ppt for? On our site, visitors and users will find a wide range of professional unique templates including infographic elements, clip art, charts, and numerous diagrams. 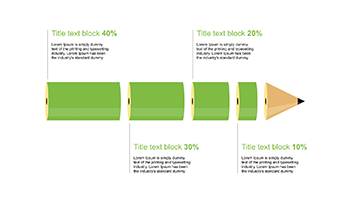 This page is devoted to the slide with pencil concept for ppt. This template represents the pencil cut into four multicolored segments. Every segment denotes the percentage. Thus, judging by the part of the segment related to the whole pencil, one can see the potion of some data, information. Draw listeners/ visitors’ attention due to what they will better remember your topic. High quality. A high-quality unique template will be an excellent image-maker for every webmaster or speaker. Such a template is able to demonstrate your competence as well as impress the audience. In our turn, we provide only professional elements of a perfect quality. Our slides won’t have visible defects. You can work and display them on any screens without fears. You’ll be free of such problems as blurred segments or visible pixels. Free download. This element is available without paying. Do not lose time, download the slide and create clear informative projects. 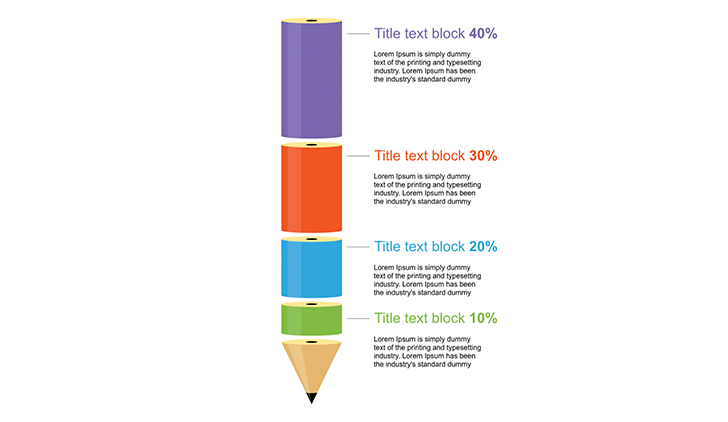 On our site, you’ll find different PowerPoint infographics free. Built-in tools. This pencil is made in green, red, violet, blue colors, but they are absolutely editable as well as other built-in tools applied to this template. The option makes your work easier and more efficient. Multipurpose element. This slide is perfect for a number of marketing, business presentations. It can be used for any project where it is necessary to display statistics and other data. Easy-to-use ready-made slide. The slide with pencil concept for ppt saves time and serves as employees’ assistant. They state that the process of pages or presentations creation takes less time. Besides, additional skills are not a required condition.